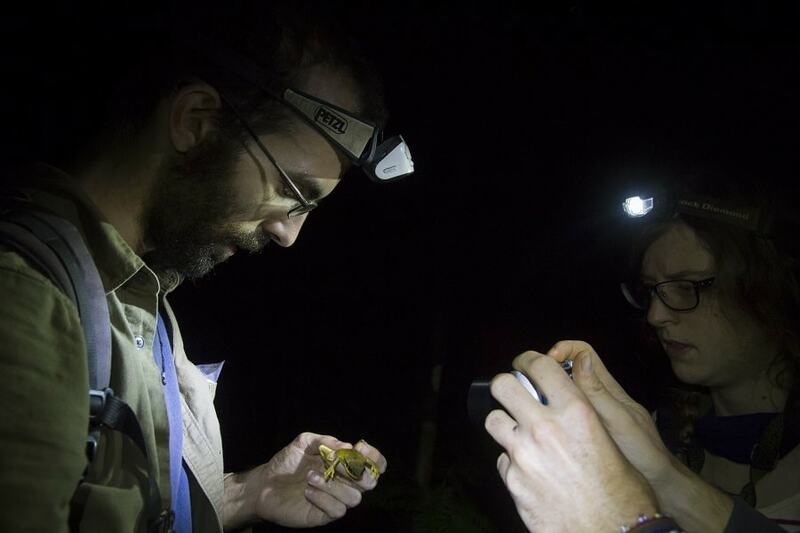 Discover the amazing world of amphibians and why World Frog Day is more important than ever for our research and education team in Manu Rainforest. 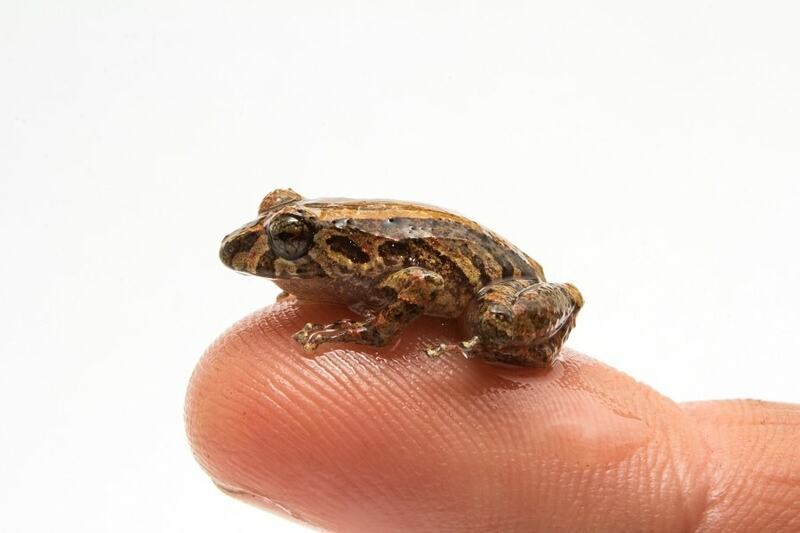 World Frog Day closely follows two very exciting breakthroughs in our scientific work: the discovery of a species of frog new to science and the launch of the first ever field guide to amphibians of Manu. 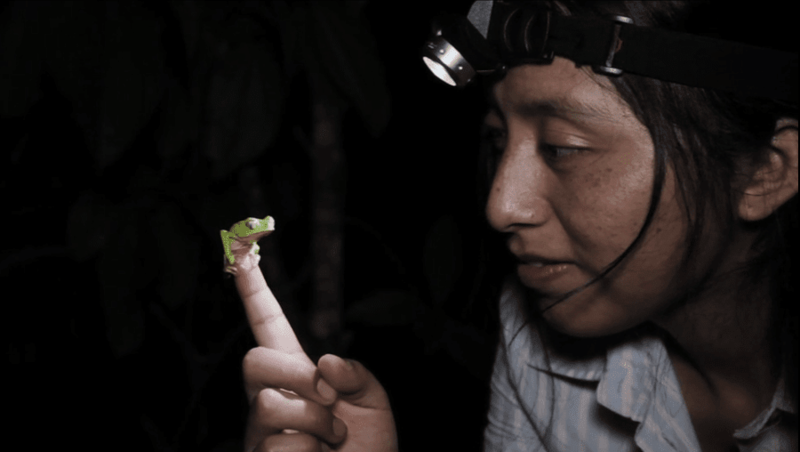 But before we look at these, let’s explore why frogs and amphibians are so important within the Manu Biosphere Reserve, where we’re based, in the Peruvian Amazon. The Manu Biosphere Reserve is the most biodiverse place on Earth for amphibians and they play a crucial role in helping us understand the area’s rich ecosystem. Frogs are indicator species, meaning that they are highly sensitive to changes in their environment. They can tell us a lot about the health of an ecosystem and the impact of human disturbance. Due to their permeable skin, frogs can absorb toxic chemicals, radiation and diseases. This means the presence of such high numbers of frogs within Manu is a sign of a healthy and biodiverse environment. Our nature reserve, the Manu Learning Centre (MLC), was farmland only 50 years ago. This is why it is so exciting to have discovered a new species of poison dart frog there. Senior Field Researcher, Jenni Serrano, was one of the team members that discovered Amereega Shihuemoy while surveying amphibians in streams of the MLC. Unlike other frog species, male poison dart frogs stay to look after their young, covering them with water and keeping them hydrated, while the mother lays additional eggs as food. This behaviour is peculiar to poison dart frogs. Amereega Shihuemoy features in our new field guide to amphibians of Manu, the first of its kind, which will be an invaluable addition to the kit list of field researchers hoping to observe this species and the diversity of life in Manu. These breakthroughs are down to the passion and hard work of our researchers and field staff, but we couldn’t achieve this without the support of our dedicated conservation volunteers and interns. You don’t need to be at the MLC for long before you experience the incredible rainforest wildlife for yourself. Whether you are looking to learn fieldwork techniques as part of our conservation internship programme, or would like to visit the MLC as a short or long-term volunteer, we have a wide selection of hands-on programmes available, ranging in length from 1 week to 6 months. If you’re interested in exploring these then visit our volunteer or internship pages for more details. If you’d like to see more about life in the Amazon then follow us on Instagram, Facebook and Twitter.